The NNPA, the leading non-partisan trade association of the more than 205 African American-owned community newspapers throughout the United States, along with the NAHP, a non-partisan trade advocacy organization representing the nation’s leading Spanish language publications, have a combined total reach of over 43 million readers per week across the United States. 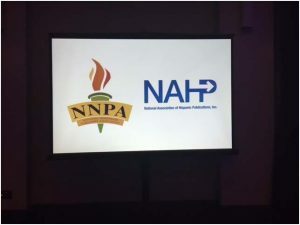 “This task force also marks a historic partnership between the NNPA and NAHP, the nation’s most influential publishing organizations that are currently led by women. Martha and I have a shared vision and commitment to empower our communities by strengthening the voices of the media we serve,” said NNPA Chair Denise Rolark Barnes. The NNPA and the NAHP will also launch a massive nonpartisan national Get-Out-The-Vote (GOTV) campaign for the remainder of 2016 to increase civic participation in our mutual communities. NNPA is a trade association of the more than 200 African American-owned community newspapers from around the United States. As the largest and most influential Black-owned media resource in America, NNPA delivers news, information and commentary to over 20 million people each week. The National Association of Hispanic Publications is a non-partisan trade advocacy organization representing the leading Spanish language publications serving 41 markets in 39 states, the District of Columbia and Puerto Rico, with a combined circulation of over 23 million.